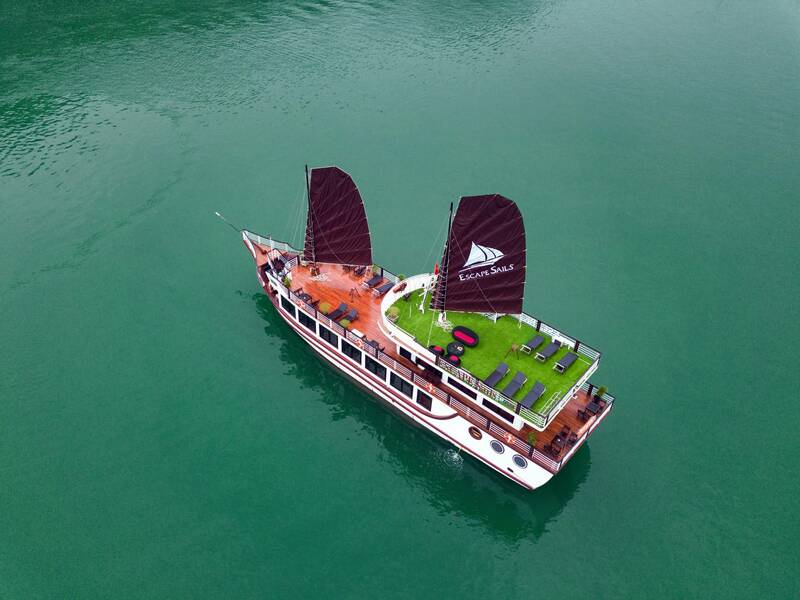 Escape Sails Cruise is a new nice steel boat, meticulously designed for your supreme enjoyment and your ultimate safety. 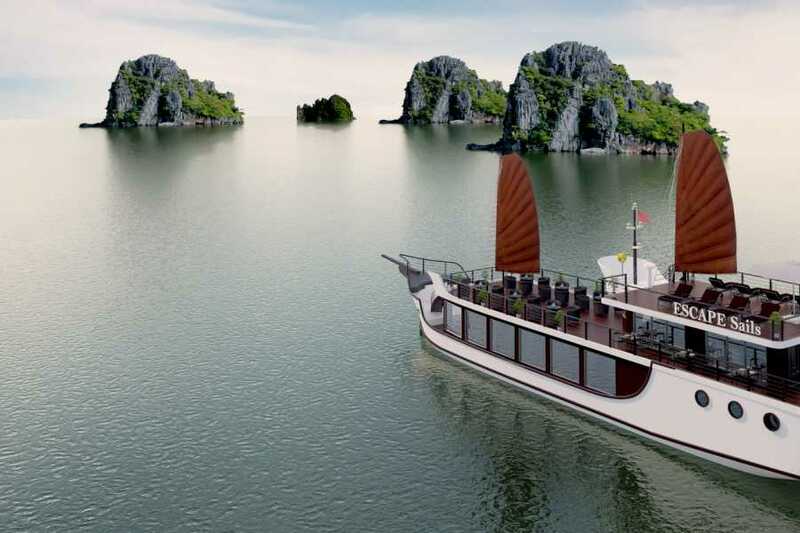 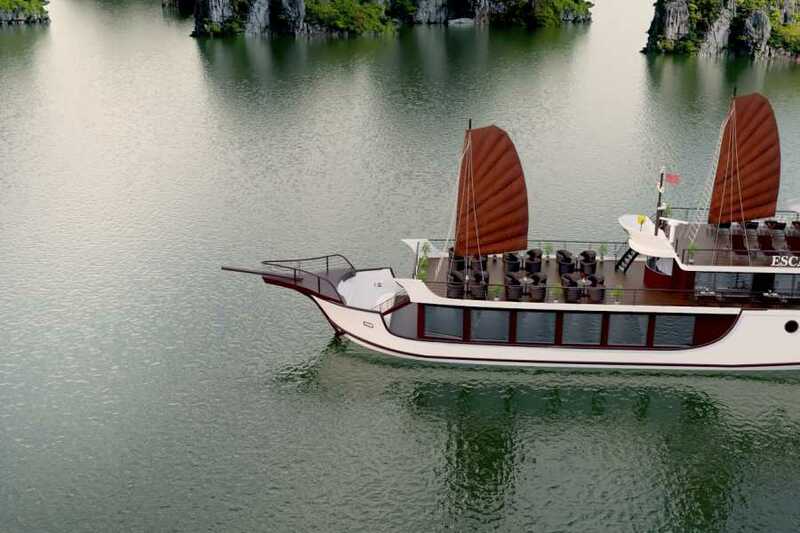 Inspired by gracious charm of Vietnam’s national flower, the boat features a flawless blend of traditional and contemporary cruising concepts with images of the pure lotus infused in the fine design of every corner on board. 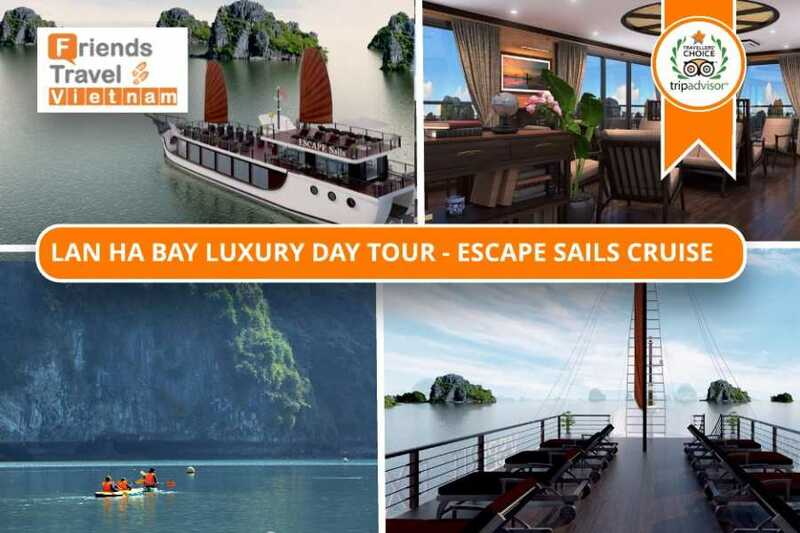 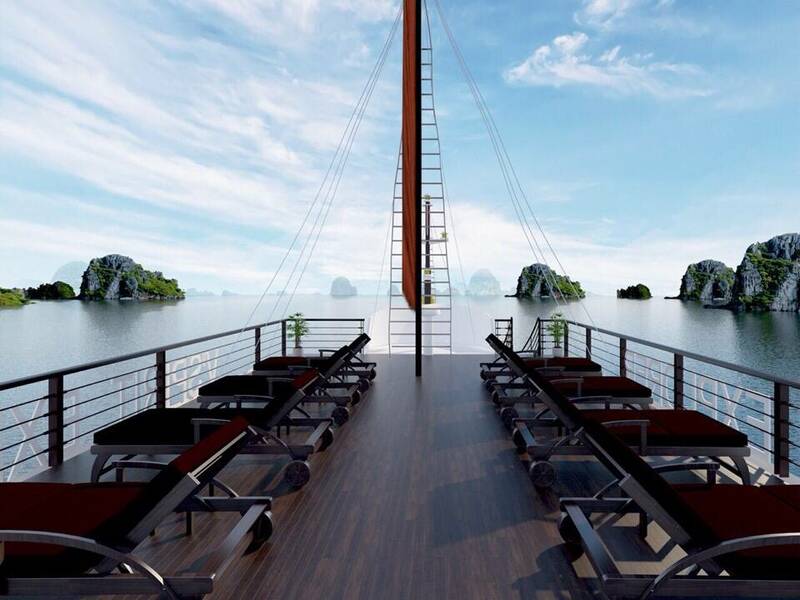 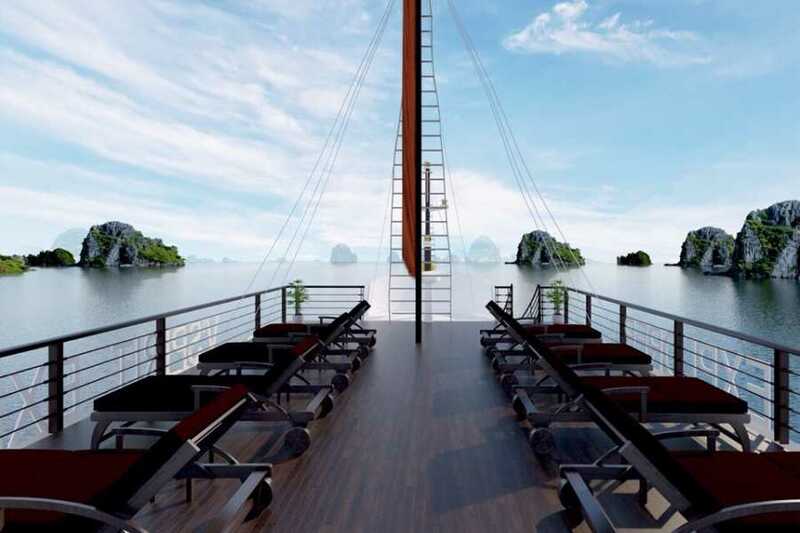 There is nothing but exceptional experience when cruising with Escape Sails Cruise as you indulge your eyes with spectacular landscapes and satisfy your taste to the fullest with the best of Vietnamese cuisine. 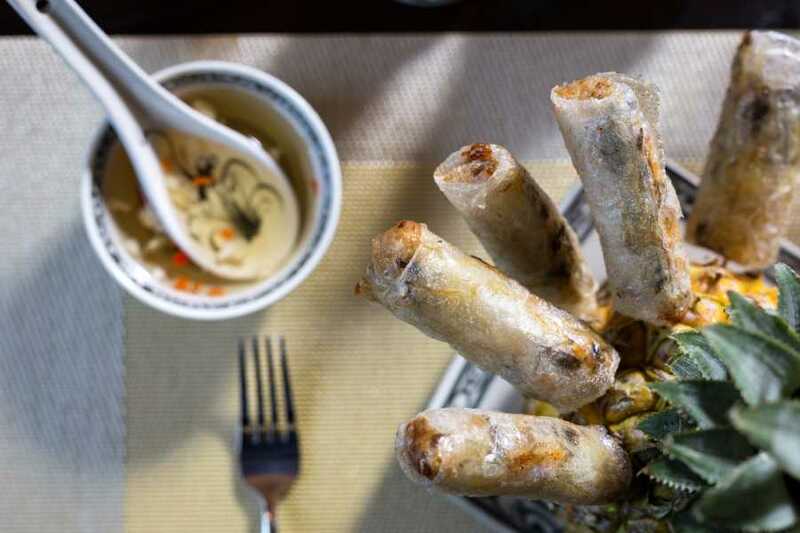 Our carefully selected menu will evoke your appetite with the most delicious dishes cooked from lotus and freshest local-sourced ingredients. 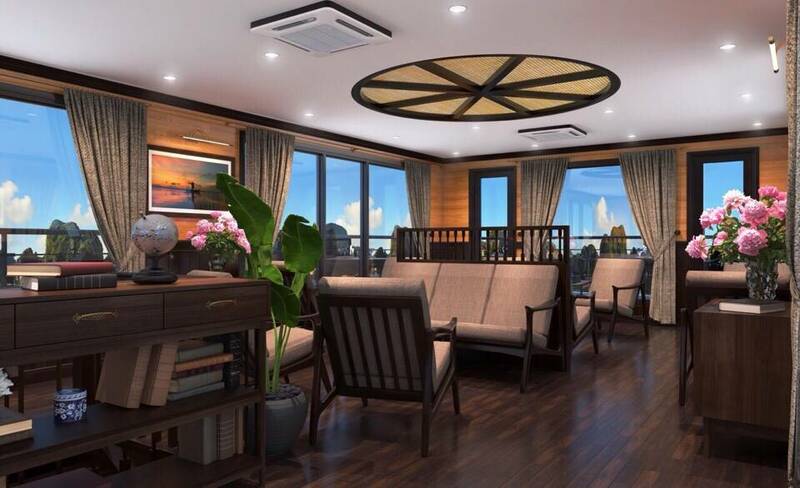 - GRAND OPENING & PROMOTION (16/01/2019 - 30/09/2019): USD 89/person. 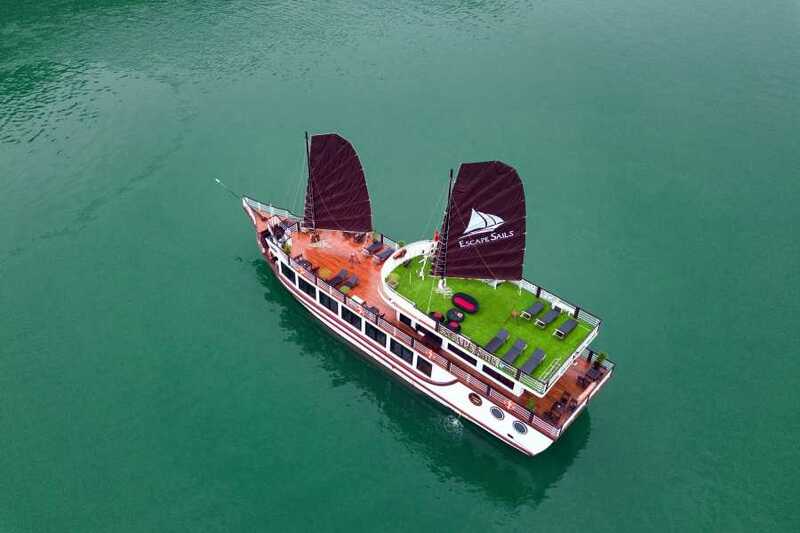 - HIGH SEASON ( 01/10/2019 - 31/12/2019 ) : USD 115/person. 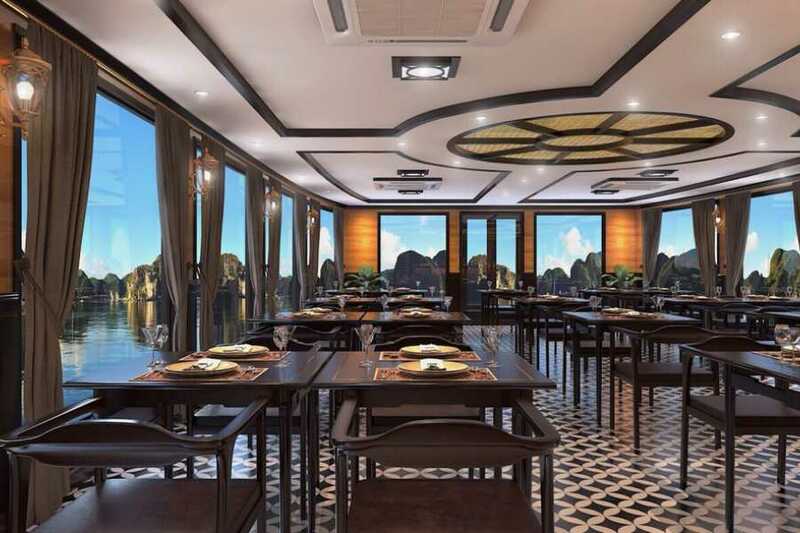 Pick-up at your hotel near by the Old Quarter in Hanoi by luxury transfer. 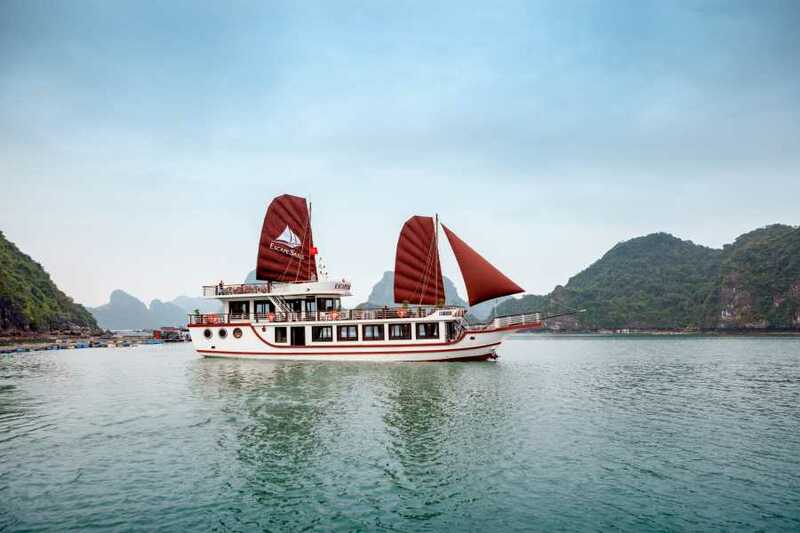 Embark the Escape Sails at Cat Hai port. 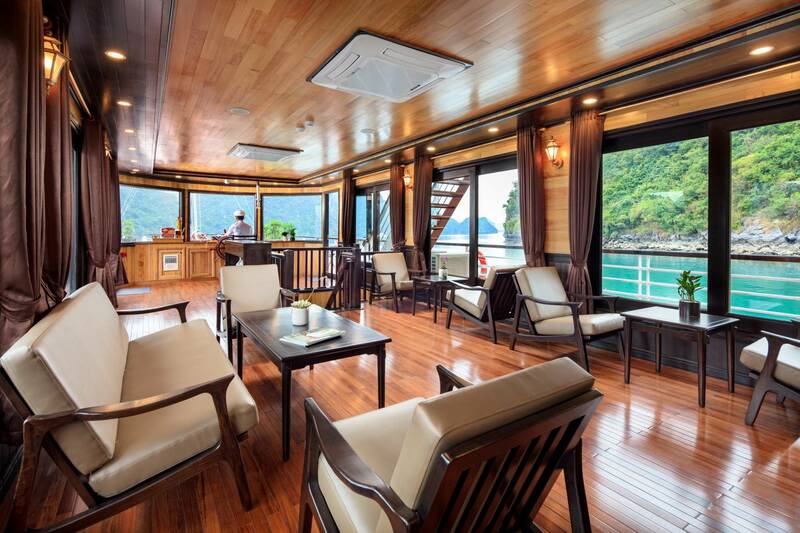 Enjoy welcome drink, cruise briefing, start cruising. 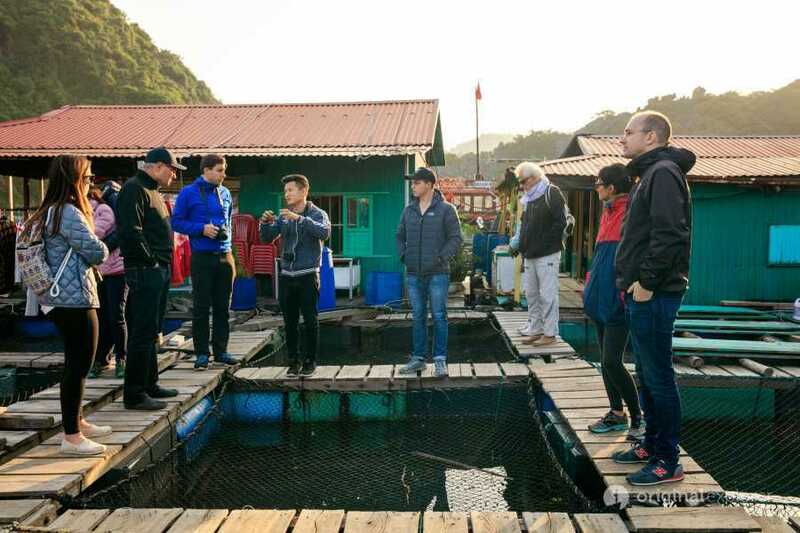 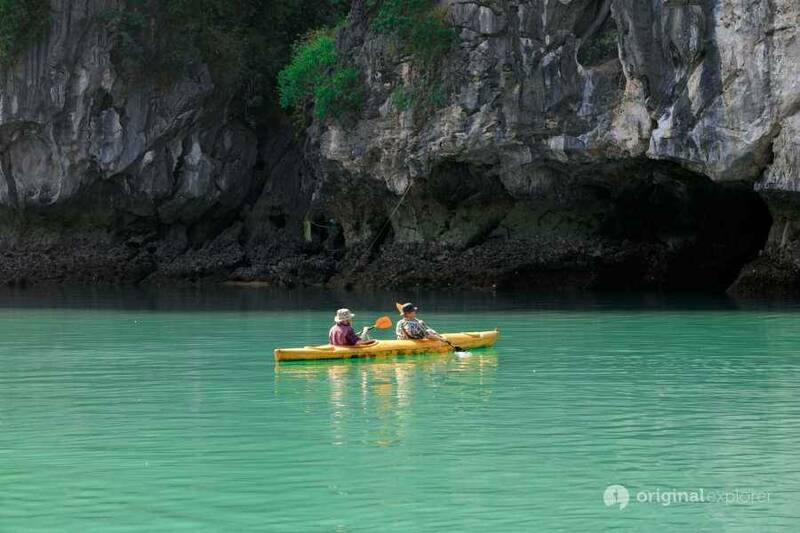 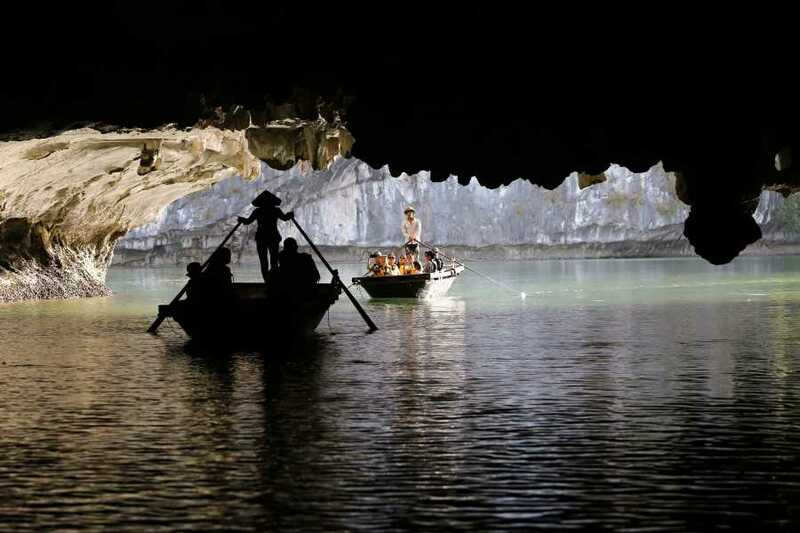 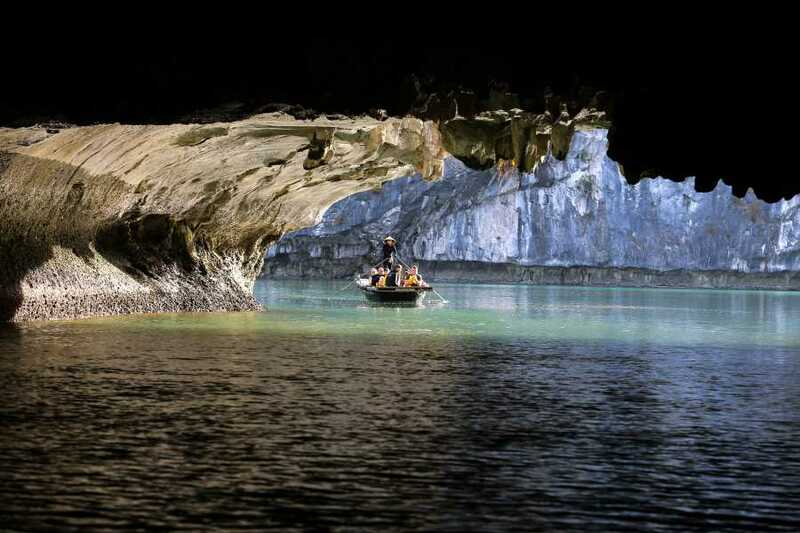 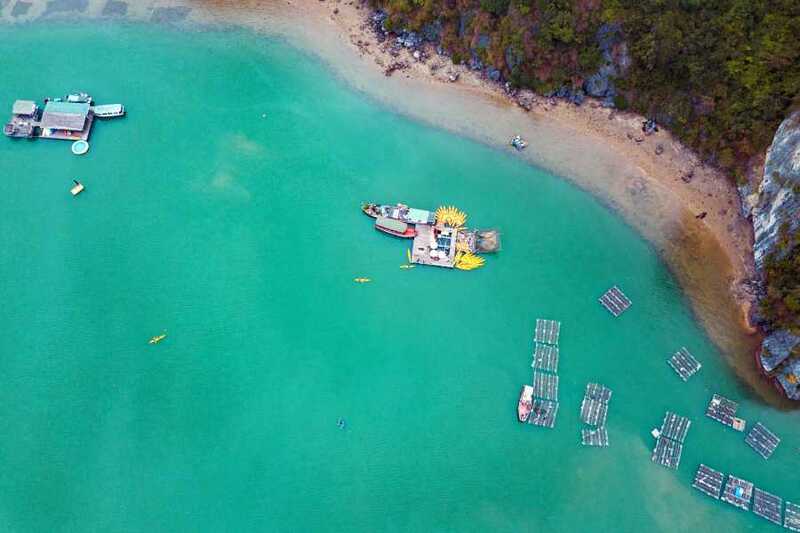 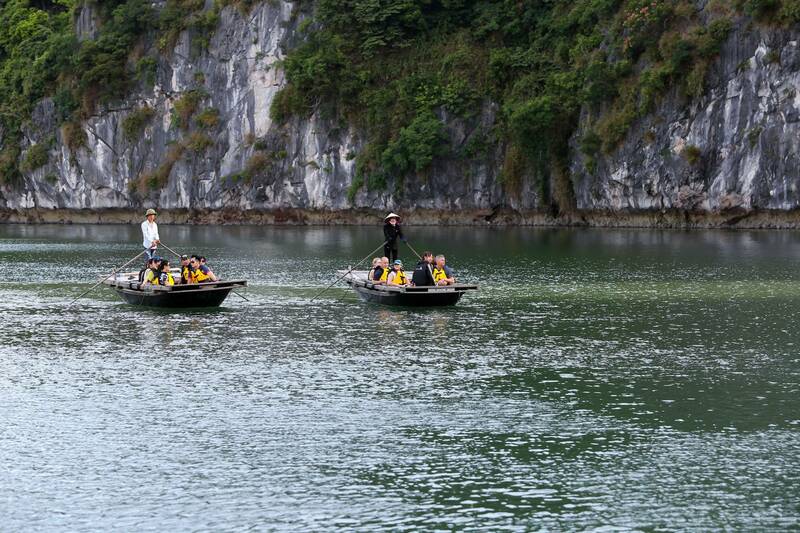 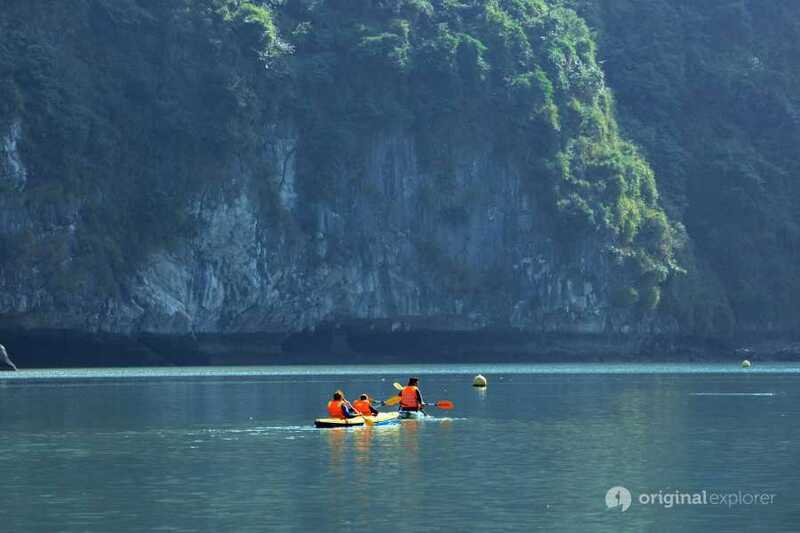 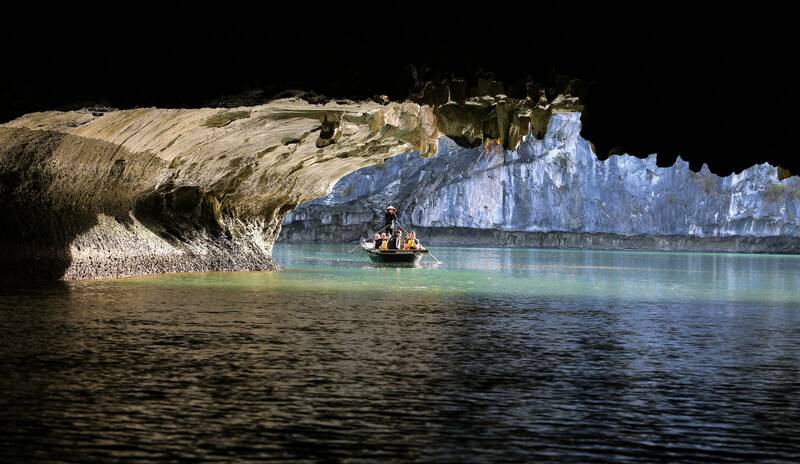 Our next stop is to the Bright Cave, the guest can join in a bamboo boat or kayaking, visit a serene round lake surrounded by lush trees and high stone cliffs. 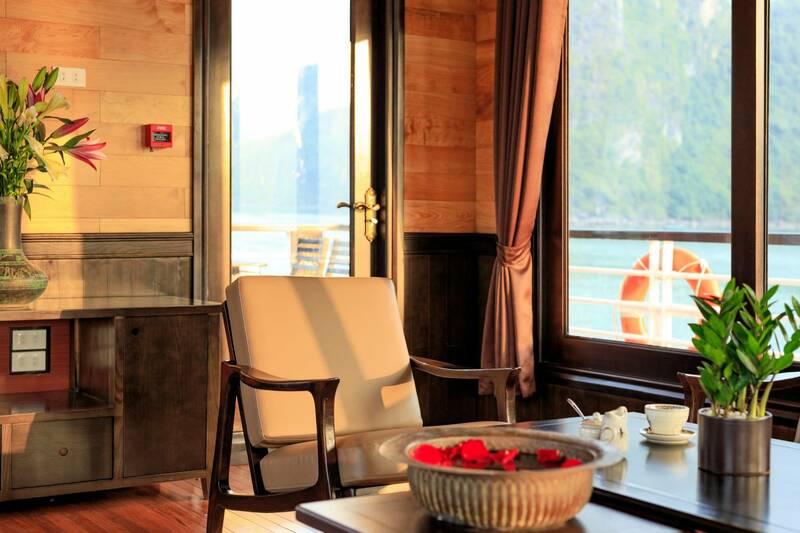 Enjoy swimming in the private emerald water and passing floating villages on the way. 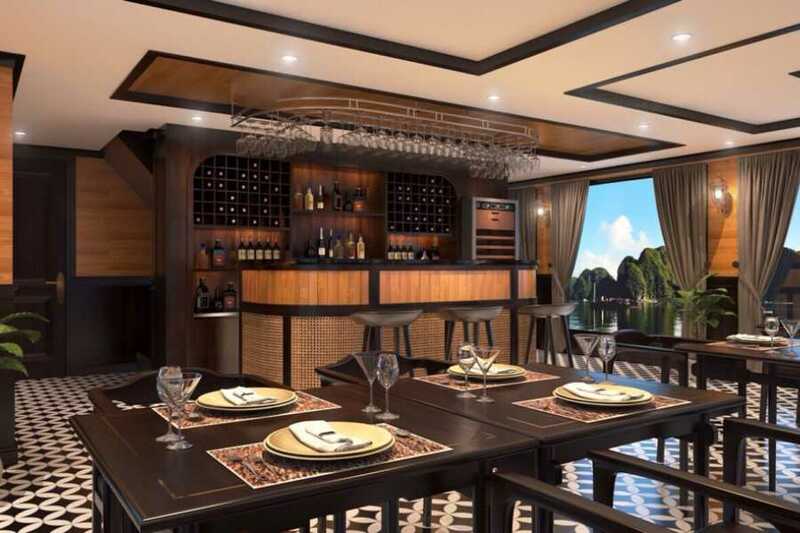 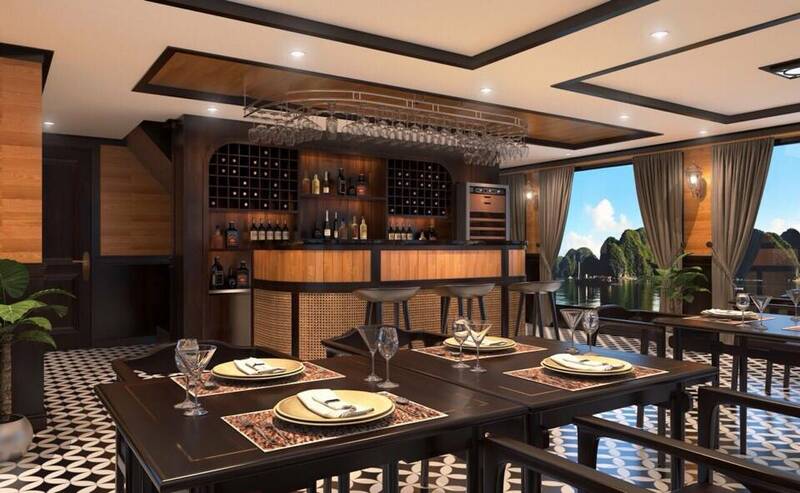 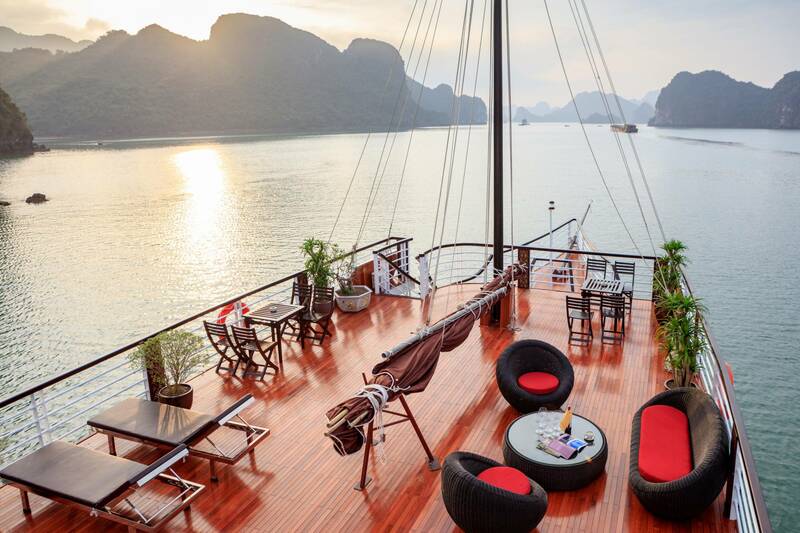 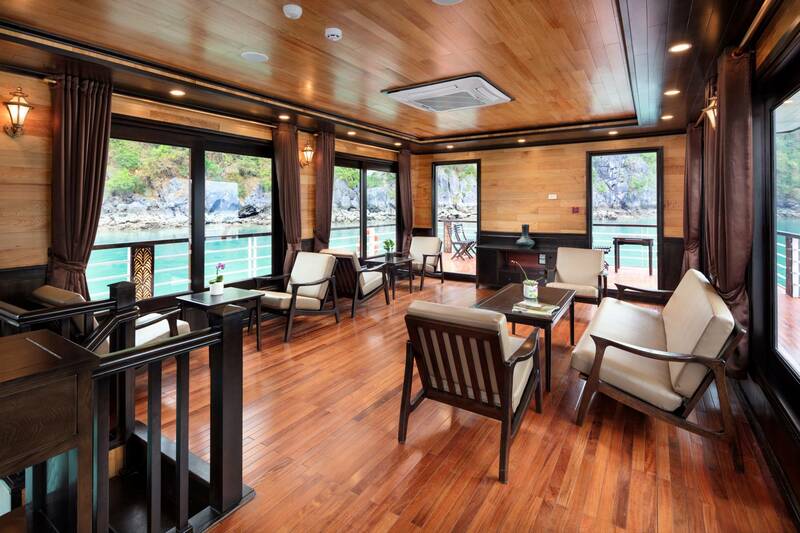 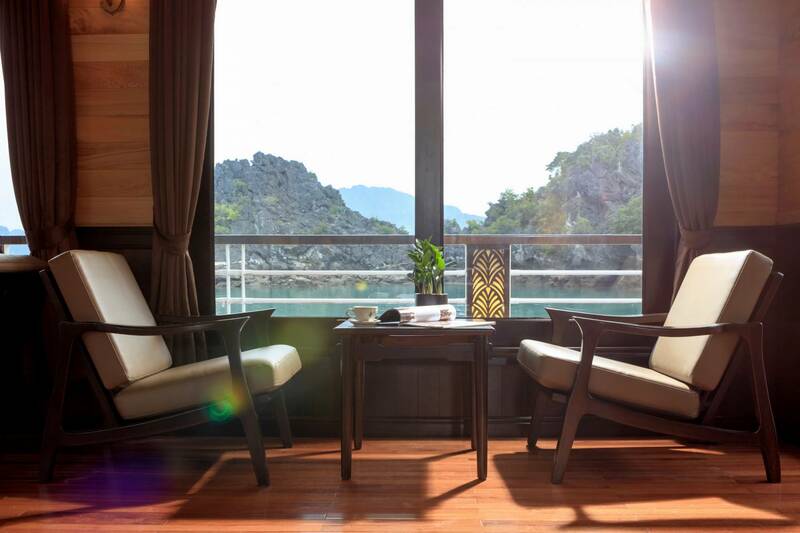 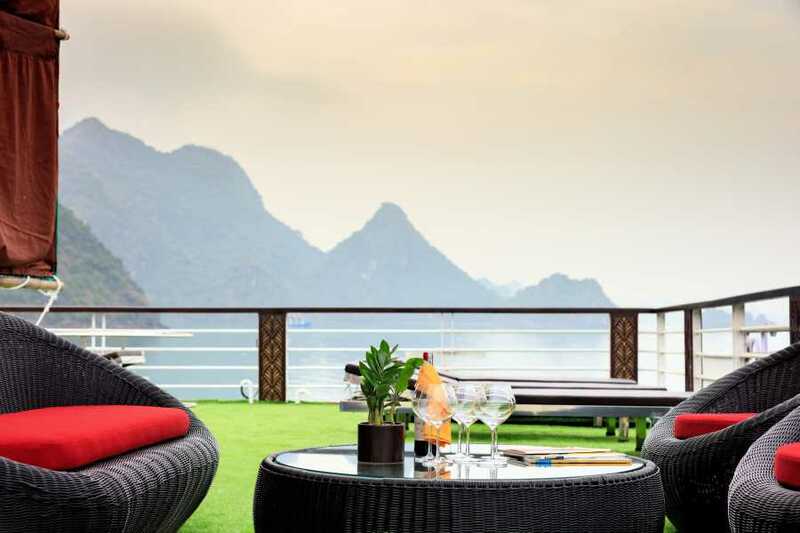 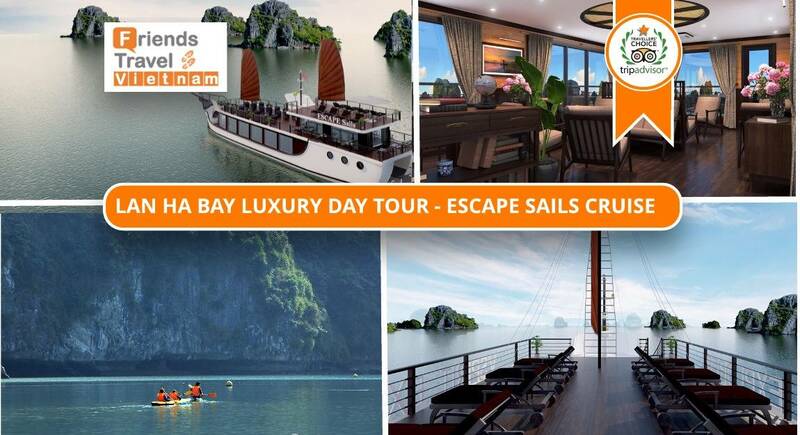 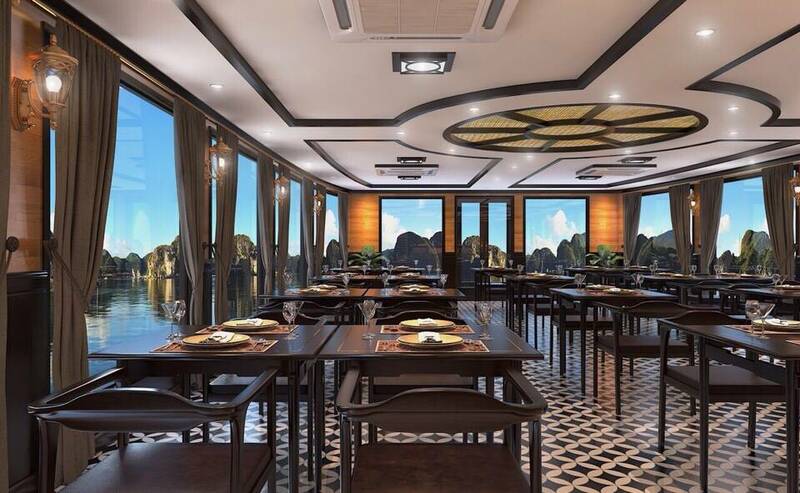 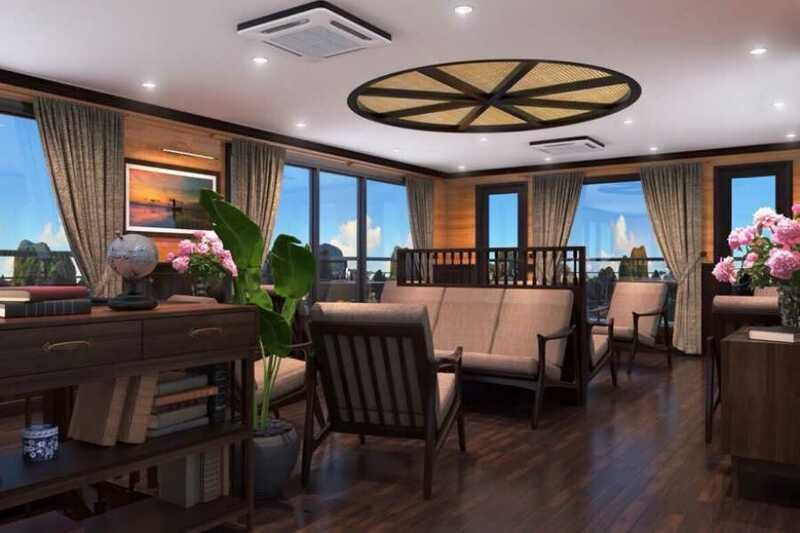 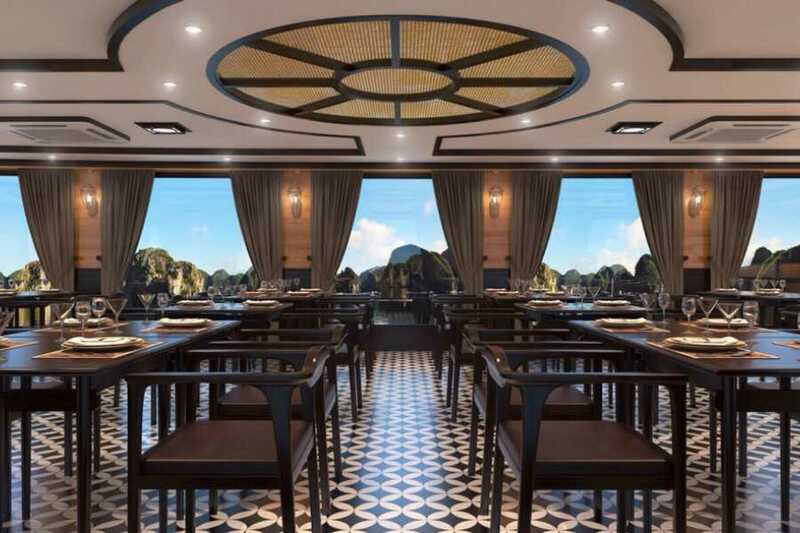 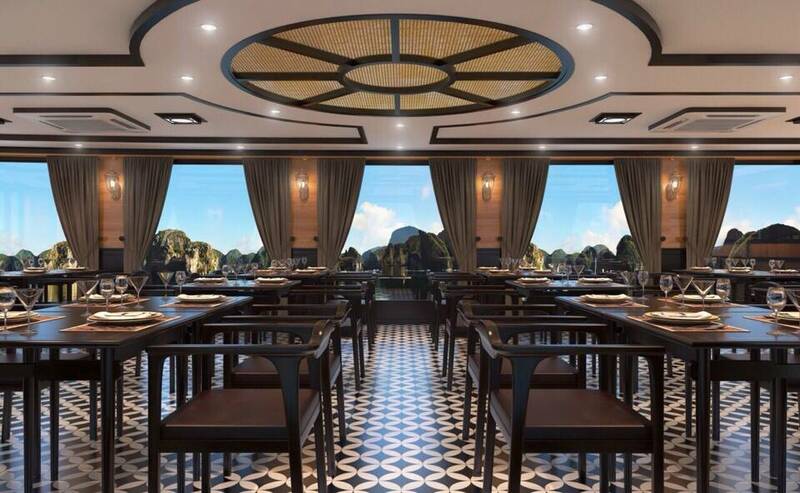 In the mid-afternoon, we spend more time aboard our luxurious Halong Bay day cruise. 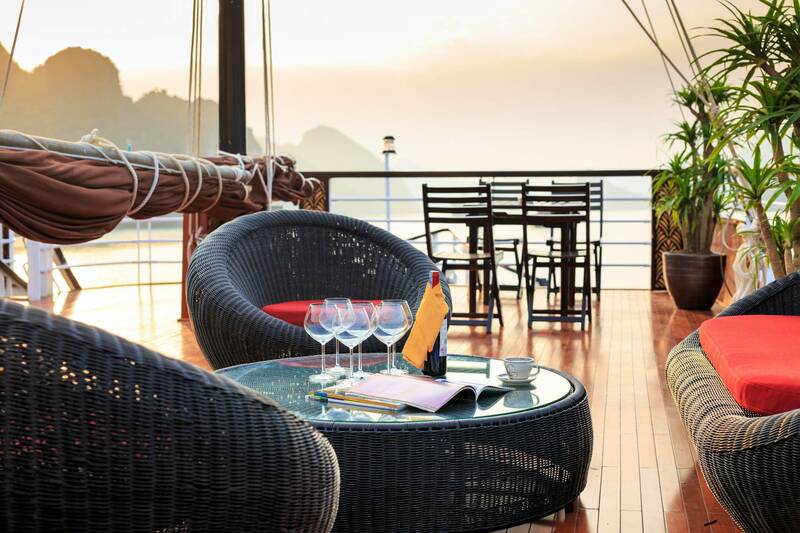 Relax on one of the two sundecks and cherish the phenomenal sights of unbounded nature on all sides, perhaps with a drink from the bar. 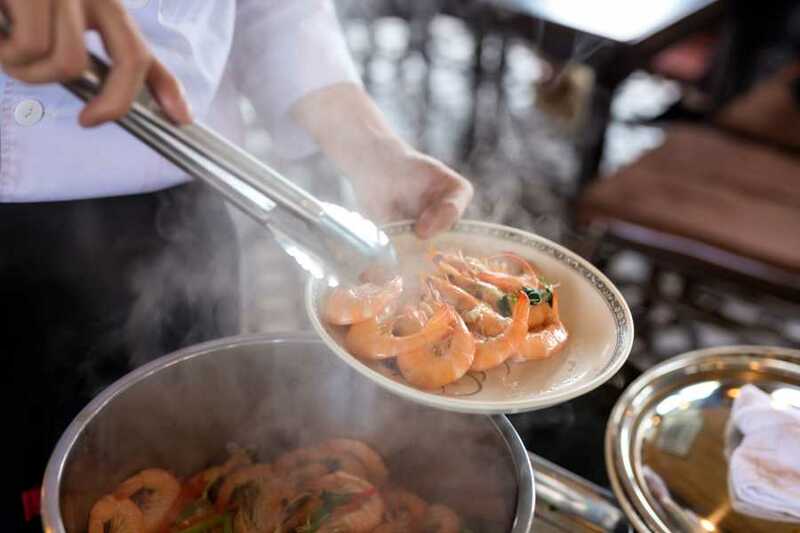 Later in the afternoon, our talented chefs will put on a cooking demonstration and fruit-carving demonstration, followed by a Western-style afternoon tea withmaccompanying snacks.